A recognized world leader, the DRI is committed to curing children and adults living with diabetes and leads the world in bringing promising treatments to patients as quickly as possible. Diabetes is a devastating disease that inflicts immeasurable pain and suffering on people of all ages. It robs children of the freedom and innocence of childhood. It takes lives prematurely. Patients worry about the future as they try to manage this relentless disease every minute of every day. 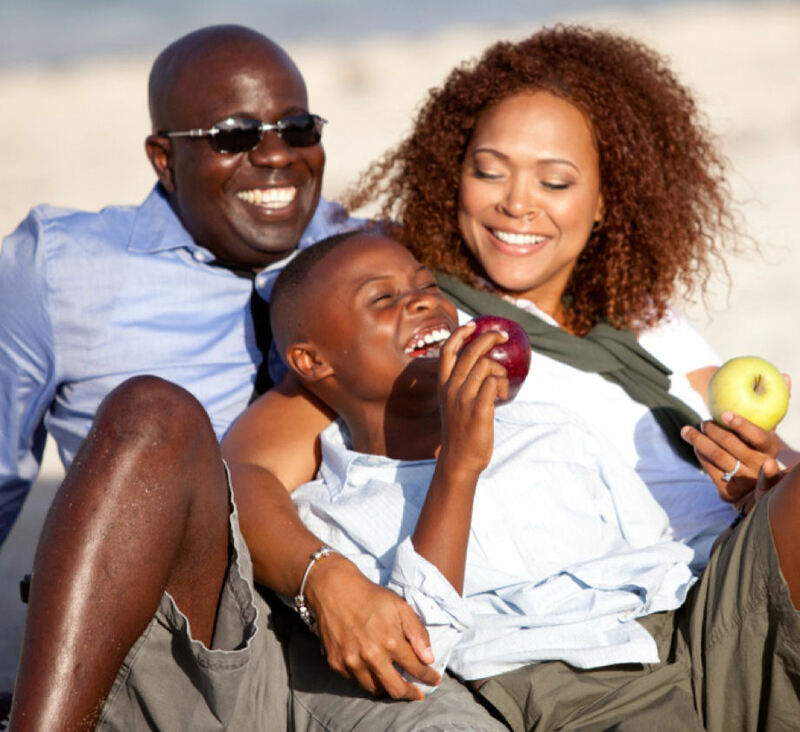 Families face many ongoing challenges in their attempts to cope with the consequences of diabetes. As we continue to hear in the media, diabetes is being diagnosed at an epidemic rate in this country and around the world. According to the U.S. Center for Disease Control, there are more than 29 million Americans with diabetes and another eight million who have diabetes and don’t know it. We need to find a cure, and we need to find it now. There is only one national organization solely devoted to finding a cure for diabetes: the Diabetes Research Institute. Already, through the tireless commitment and philanthropic support of the Diabetes Research Institute Foundation, the Institute has made significant contributions to the field of diabetes research. It has pioneered new therapies to restore insulin production and reversed diabetes in patients involved in ongoing clinical trials. The DRI’s progress has truly changed the lives of those affected by diabetes. With an unwavering commitment to cure those now living with diabetes, along with its unique spirit of collaboration and fast track approach to research, the Diabetes Research Institute is leading the international effort to cure diabetes. 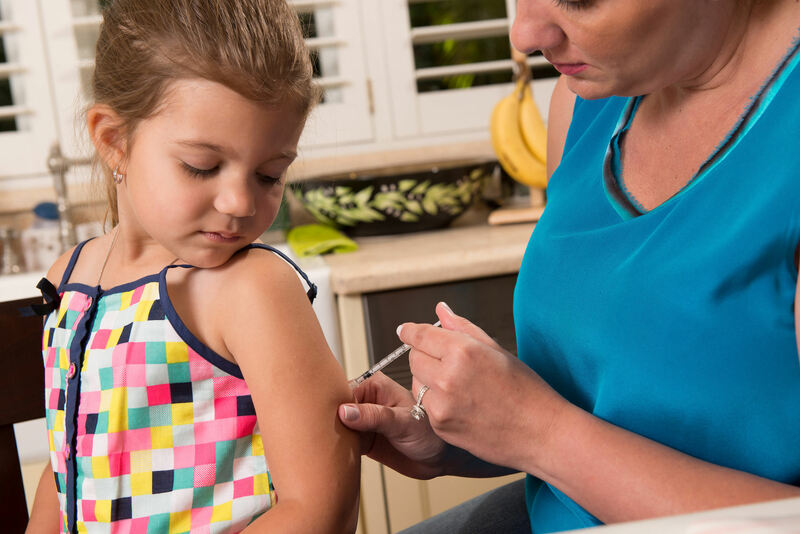 For the millions of families affected by diabetes who are looking to the world of science for answers, the Diabetes Research Institute is the best hope for a cure. The Diabetes Research Institute Foundation exists for one reason – to provide the Diabetes Research Institute (DRI) with the funding necessary to cure diabetes now. Our mission is a testament to the belief that tomorrow is not soon enough to cure those living with diabetes. The DRI Foundation’s history of commitment dates back to 1971 when it was founded by a small group of parents of children with diabetes who were dedicated to finding a cure. Driven by a shared mission, they banded together to support a promising research program at the University of Miami solely aimed at curing those living with diabetes. 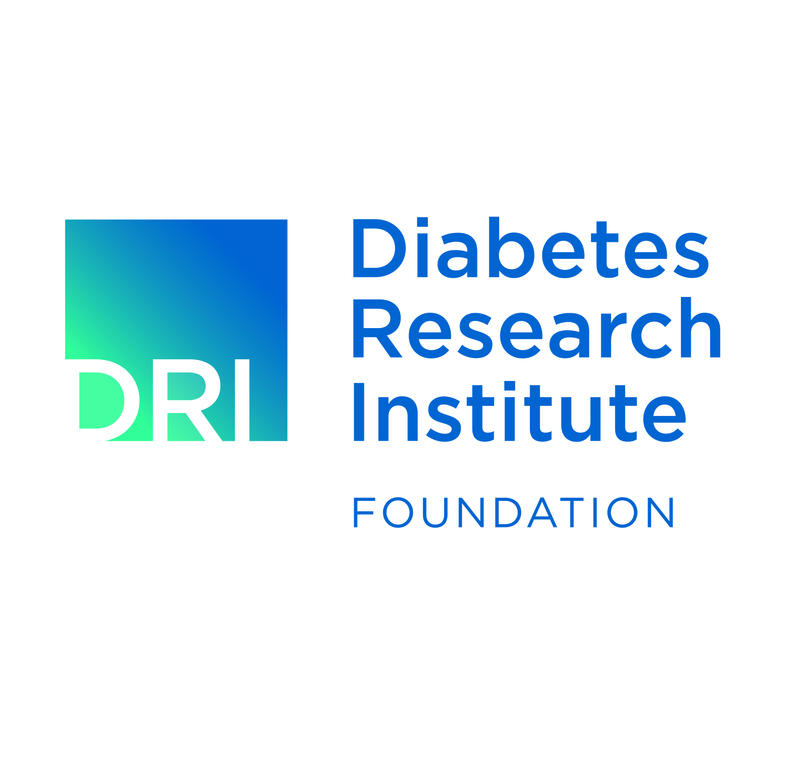 The DRI Foundation (DRIF) is recognized as one of the world’s most respected diabetes organizations, having grown into an international coalition of business leaders, celebrities, scientists, clinicians, families and other concerned individuals who have raised the importance of cure-focused research and provided meaningful support for the DRI’s multidisciplinary research program. Our vision is a world without diabetes. To accomplish this, we need to provide the funding necessary for the Diabetes Research Institute to develop a biological cure by restoring natural insulin production and normalizing blood sugar levels without imposing other risks. We pursue that goal with a sense of urgency that drives virtually everything we do. • To accelerate research, the Diabetes Research Institute created the DRI Federation – a global network of leading diabetes researchers focused on a cure. Together with these worldwide partnerships, we can overcome barriers and move real progress forward faster than ever before. • DRI scientists are able to quickly test and evaluate new technologies and potential therapies in a state of-the-art environment. • The DRI’s translational research approach moves promising ideas from “bench to “bedside” (from the lab to the patient) exponentially faster than a traditional research environment. That’s because we have all three phases of research – basic, pre-clinical and clinical – under one roof. • We’re attacking the disease from multiple angles. Scientists from a variety of disciplines combine their expertise to overcome obstacles faster. In short, if an idea shows great promise to help the patient, it moves forward – as quickly as possible because of the funding provided by the DRI Foundation. Everyone seems to know someone with diabetes, but picture a world without it! For the millions of people already affected – and their loved ones – a biological cure would be a life-changing event. It would free them of the daily burden of this disease, the endless fear of complications in the future, and other risks associated with diabetes. It would make a world of difference! Until we have a cure, the DRI will continue to provide comprehensive care at the DRI’s Diabetes Education and Nutrition Service. An expert team of diabetes educators, nutrition specialists and physicians conduct a variety of individual and group programs with a common focus: to empower those with diabetes. To help educate fellow health care providers on the latest advancements in diabetes research and patient care, the DRI also conducts and hosts advanced, comprehensive professional diabetes education courses covering a range of topics from islet transplantation to intensive diabetes management. Over the last several decades there has certainly been a proliferation of worthwhile diabetes organizations. With more than 29 million children and adults affected by this devastating disease in the United States alone, these organizations provide a great service to help lift the burdens of diabetes. But the DRIF is unique among diabetes causes by choosing to concentrate solely on the cure and by dedicating its resources – both financial and human – to this very goal. This narrow focus has attracted the attention of those who seek a clear mission, accountability and transparency when supporting a diabetes organization. The Diabetes Research Institute was created for one reason – to cure diabetes – which is and will continue to be its singular focus until that goal is reached. 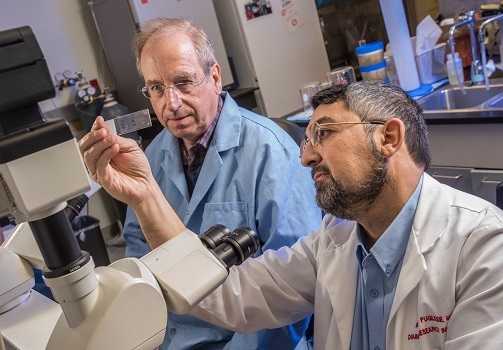 Since its inception, DRI scientists have been driven by a sense of urgency, pursuing only those research findings that show true potential to benefit those now living with diabetes. Site – creating an optimal environment to house and protect insulin-producing cells by mimicking the native pancreas. Sustainability – retraining the immune system to prevent the rejection of donor tissue and reversing the autoimmune attack which caused the onset of diabetes. Supply – identifying, developing and/or regenerating a limitless supply of cells to sense blood glucose levels and produce insulin. While various BioHub platforms are being tested in preclinical and clinical studies, the DRI is also developing strategies to eliminate the need for anti-rejection drugs and reset the immune system to block autoimmunity. When you make a gift to our organization, you can feel confident that your donation is being stewarded in the most responsible manner possible. That’s because the Diabetes Research Institute Foundation is committed to the highest standards of governance, accountability and transparency. As we strive to fulfill our mission of finding a cure for diabetes, we maintain strong fiscal management and maximize the impact of your donations. In fact, the Diabetes Research Institute Foundation has consistently been recognized among the country’s most efficient organizations by Charity Navigator, the nation’s largest independent evaluator of charities. We are honored to receive this distinction and will strive to maintain these high standards that have been established by our board of directors to safeguard the trust and respect of our donors. You can read what others have written about us at GreatNonprofits.org, the leading provider of reviews and ratings of non-profit organizations throughout the U.S.
26 million Americans have been diagnosed with diabetes, including many children. We're creating a way to let the body release insulin, eliminating shots.